It’s got everything. A big, beautiful, seamless open world. Explosions. Vehicle combat. Explosions. Sick f***ing powers. Explosions. 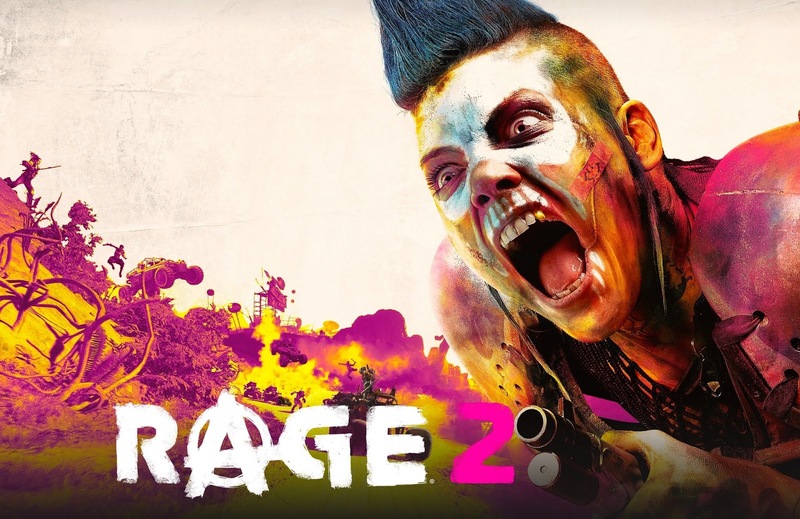 In addition to providing an extended look at the world of RAGE 2 (have we mentioned explosions yet? ), the QuakeCon footage also showed off the game’s massive and monstrous convoys for the first time. Check out the full video and get an idea of how the game’s convoys work. The streets of RAGE 2 are dangerous, and not in a Hitcher way, although you probably shouldn’t just pick up strangers you see on the side of the road. In addition to some of the more commonplace faction activity – random attacks, roving patrols, etc. – you’ll also encounter many of the gigantic convoys you saw in the video. These wheeled fortresses are heavily defended and will pose a hefty challenge to anyone ballsy enough to try to take them down. But Walker isn’t too worried. With the help of his all-purpose death machine (the Phoenix), he bobs, weaves and blasts through the enemy onslaught, deftly avoiding traps and meeting fire with fire. Taking down a convoy will net you some sweet rewards, including bigger and badder vehicle weapons for future encounters on the road. Both the Goon Squad and the Immortal Shrouded have their own convoy networks, and these groups are stubborn; take down one convoy and a tougher one will rise up to take its route. Both factions’ convoys will be uniquely armed and defended, so don’t get too complacent with one style of attack. The convoy you encounter in the demo belongs to the Immortal Shrouded, as is evidenced by their high-tech weaponry. The smaller vehicles in the convoy can drop electric traps for Walker to avoid, and the heavier “mid-sized” vehicles are equipped with energy shields, allowing them to act as bodyguards for the leader. Of course, no convoy would be complete without pesky bikes acting as a first line of defense. Immortal Shrouded bikes can chain electric traps between them, making them perfect for creating a quick and dirty moving obstacle for Walker to overcome. Of course, convoys are just one of the many dangers of the wasteland. In a lawless world, anything goes. Between the iron fist of The Authority, the cutting-edge technology of the Immortal Shrouded, the bloodthirsty savagery of the Goon Squad, and everything else the wasteland wants to throw at you, you’ll need to keep your head on a swivel if you want to survive.